No matter what time of the year it is, we should always try and make more use of our outside spaces and gardens. It’s a great way to spend time with the family or relax our mind after a busy day. Fresh air is good for you. We all know that. But yet, many of us don’t spend enough time in our gardens. So I thought I would share with you some inspired ideas to encourage you to enjoy your outdoor areas more frequently. A decked area of the garden is a great addition. It can offer you a versatile space for any activity. Mostly people tend to have some garden furniture up there and use it as a place to sit and relax. There Is nothing quite like enjoying the evening sun with your favorite drink. It’s also an excellent way of adding value to your home as it becomes more of an extension of the interior space. If this is something you want to add to your garden, then consider a professional timber supplier to provide you with the best supplies to create it. As the sun fades away so does our time in the garden. But it doesn’t have to be that way. Now with solar lighting, you can light up your garden area and continue using it into the night. It’s great for entertaining. As they are powered by the solar energy, they don’t cost you a thing to run. It’s a lovely way of making your garden look pretty and inviting on a dark evening. One of the best ways to utilise your outdoor space is through cooking and eating. Most people love a BBQ, but some have taken it one step further and added outdoor kitchens and pizza ovens to their outdoor space. Making it a much more user orientated way to eat outside. Of course, if you have the supplies you may as well have the space to enjoy the food outside. Decks or patios are great al fresco dining areas. One of the things that can put people off being outside is the clutter a garden can develop. Families can have toys lying around, or you may even keep unused furniture and garden tools out. Make sure you invest in a great storage options like a shed to hide it all away. It will make your garden much more pleasing on the eye. Finally, don’t forget to add a few quirky features to your garden. 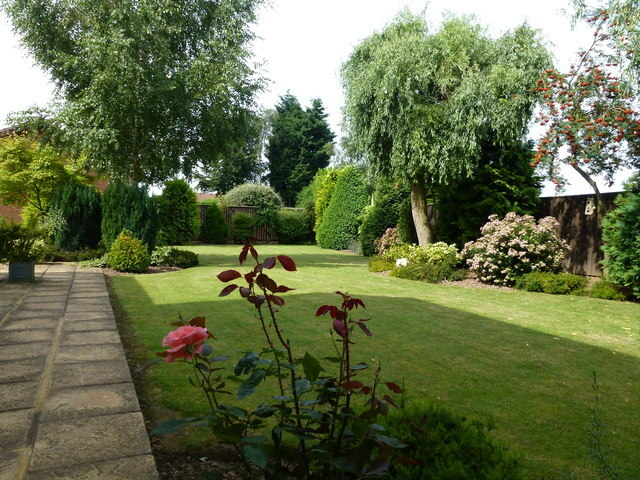 A designed flowerbed with beautiful flowers and well kept lawn makes your garden feel more part of your home. The best way to treat your outside space is an exterior room or an addition to your home. Doing that will ensure you spend much more tie out there. I hope this has inspired you to be outside in your garden more.